In the past week, there were also updates to the Working Bicycle Gallery and the CX Bicycle Gallery. Now, I'll admit that I've kinda got twin top tubes on the brain - with the evolution of Grant Petersen's Rivendell Sam Hillborne, Hunquapillar and Bombadil models all acquiring additional and entirely non-trendy tubing. When they've appeared on various bicycle designs, whether taller framesets or more load-bearing-oriented models, I've tried to consider what the tube does, how it does it, and how it will be viewed in another 5 years or so. Needless to say, Grant is not the first frame designer who has taken this approach. 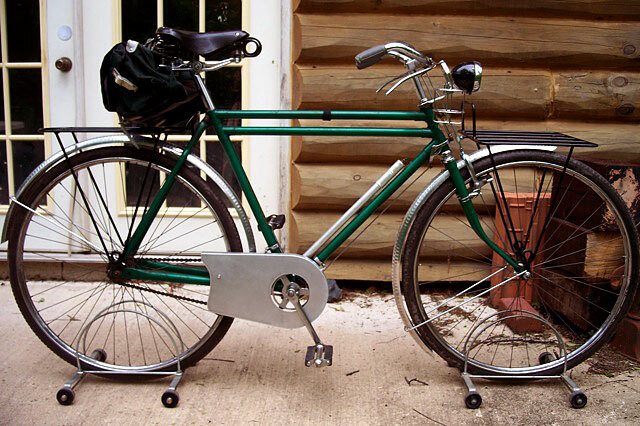 This laid-back Robin Hood brings a stylish sweep to the genre of Working Bicycles. Robin Hood was a brand originally acquired by Raleigh back in 1906, and was part of their bicycle manufacturing empire. Here, Daniel has added a stylish front Porteur-style platform rack and simple but functional VO chaincase. The additional racks allow him to use this as a camping bicycle, and it looks like it's ready to roll out into the woods. Bruce Gordon has been steadily designing and building bikes for over a quarter century. 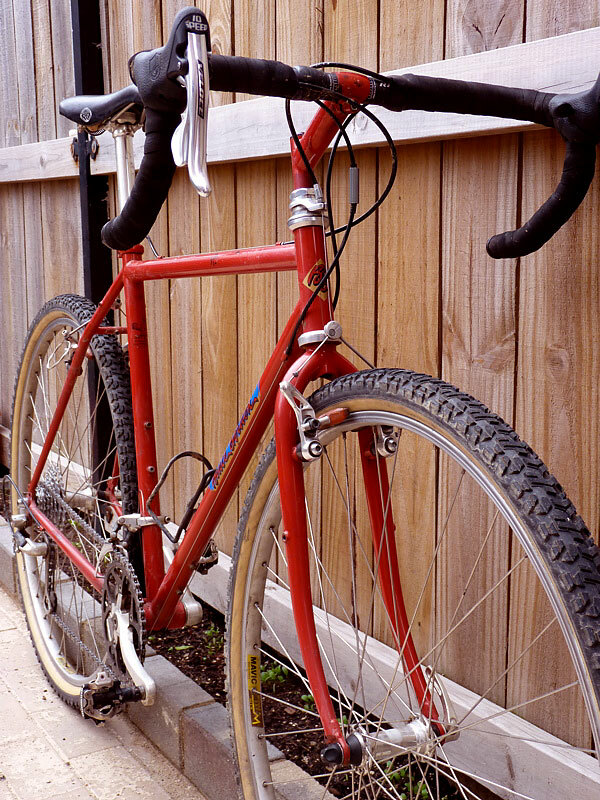 He has always crafted framesets which were more than happy to roll offroad, or carry whatever you asked of them. Whether passing out pocket protectors with the phrase "Bruce Gordon Cycles - Where the Touring Nerd is King!" or engaging in the Interbike pranksterism which was SOPWAMTOS, he was making quality bikes when most people didn't care or notice, and every current builder owes him an acknowledgment of thanks. Anyway, this Rock-n-Road has all the aspects of what I like in a CX bike - a stripped down robustness, the clearances which can only be found in a steel frame and an understated finish. Plus, there's a chicken on the stem. Can't beat that!